and jump start a powerful career. many reputed PR companies for curriculum, mentoring, internships & jobs. "I don’t think any other institute gives you such exposure to PR consultancies & access to networking and knowledge platforms like PRAXIS, PR Moment Conferences etc." "I would recommend this programme because it gives you exposure to learn more and an the opportunity to learn from the best." "I got to learn how to interact with journalists and how PR campaigns are executed." "It is only at SCoRe where we get to visit PR firms as students and get hands on experience at the job." "I would recommend SCoRe to people looking for careers in media because SCoRe offers you multiple opportunities to experience different avenues in PR that one would like to specialise in." "I absolutely loved being a part of the first batch and it was an honour. Regardless of where I end up in life, what I have learned here is going to help me throughout my career." 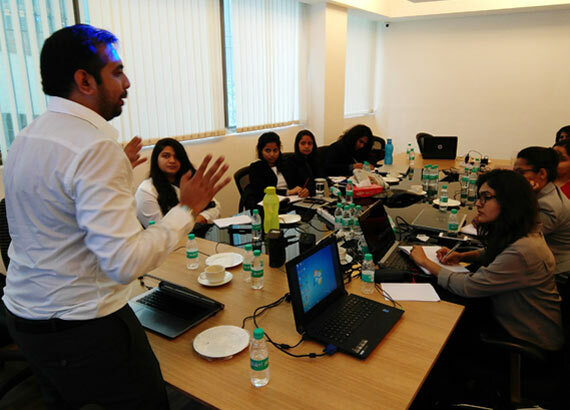 The 10-month Post Graduate Programme in Public Relations by SCoRe is designed to create the most powerful public relations professionals of India for the coming years. SCoRe is created by the professionals, for the professionals. Located in India’s financial hub Mumbai and emerging corporate hub Gurugram, SCoRe has a solid team of professionals in the Advisory Board & Academic Council. SCoRe transforms students into professionals who are Street-smart, Courageous, Outstanding, Restless and Ethical (no matter what). A SCoRe programme is covered in 10 months which typically takes two years. It includes a series of master classes, guest lectures and interactions. Think a Career in PR. Think SCoRe! Our faculty are senior leaders of PR & Corporate Communications. Sign up for our free newsletter and stay updated to latest trends, designs, tips, inspirations and more.